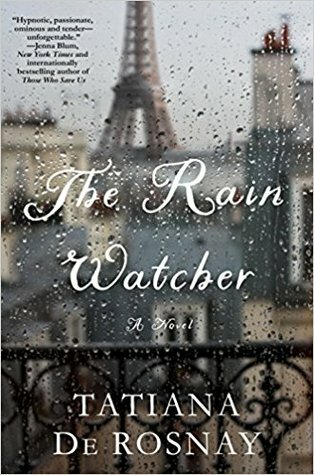 Yesterday, Tatiana de Rosnay's latest novel, The Rain Watcher, came out, and because I ended up with an extra copy, I'm going to give that copy away - and it's a finished copy! I will be reading this book soon and am really excited about it. You can also see what others have to say and then be sure to enter the giveaway below!!! The first new novel in four years from the beloved superstar author of Sarah's Key, a heartbreaking and uplifting story of family secrets and devastating disaster, in the tradition of THE NEST. The Rain Watcher is a powerful family drama set in Paris as the Malegarde family gathers to celebrate the father's 70th birthday. Their hidden fears and secrets are slowly unraveled as the City of Light undergoes a stunning natural disaster. 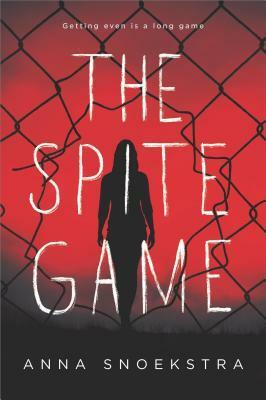 Seen through the eyes of charismatic photographer Linden Malegarde, the youngest son, all members of the family will have to fight to keep their unity against tragic circumstances. In this profound and intense novel of love and redemption, De Rosnay demonstrates all of her writer's skills both as an incredible storyteller but also as a soul seeker. 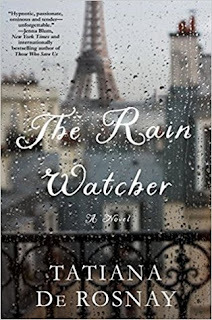 Thanks to the publicist, one reader will win a finished copy of The Rain Watcher by Tatiana de Rosnay. To enter the giveaway, please fill out the rafflecopter by November 6th. This giveaway is open to US residents only and ends November 6th. First, she watches Saanvi. Flawlessly chic and working hard at a top architectural firm, Saanvi has it all together on the surface. But everyone does bad things when they think no one is watching and Ava only wants what’s fair—to destroy Saanvi’s life the way her own was destroyed. Next, she watches Cass. She’s there as Cass tries on wedding dresses, she’s there when Cass picks out a cake, she’s there when Cass betrays her fiancé. She’s the reason Cass’s entire future comes crashing down. Finally, Ava watches Mel. Mel was always the ringleader and if anyone has to pay, it’s her. But one tiny slipup and Ava realizes the truth: Mel knows she’s being watched, and she’s ready to play Ava’s games to the bitter end. 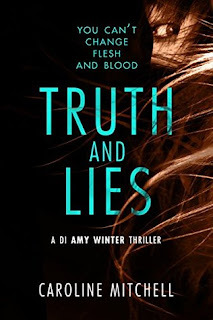 My thoughts: Anna Snoekstra is an author I have really come to enjoy for her psychological thrillers and this latest one is certainly no exception. It definitely has a bit of a different feel to it, but is still a great read. This book absolutely has a Mean Girls vibe going on...filled with characters that will definitely have you cringing at. I was sure I was going to figure out where this was going to end up, and while I did put some of the pieces together, there are quite a few good surprise that come up at the end that I did not see coming. I really liked the way this story is told - in the present but with flashbacks to the the past, and all through Ava's point of view. At times, it might seem like it wanders a bit, but it just seems to work. You feel the angst that Ava felt when she was in high school, you feel her pain when those "mean girls" were bullying not only her but others. And as much as she might have gone over board, you sort of get why she felt she needed to get even. Throughout the book, my feelings about Ava were all over the place...I loved her, then I couldn't stand her, and then I felt sorry for her. Each and every character will cause you to react in some way...they are so well drawn and developed. This book will have you digging up all your high school memories about pranks and cliques and all that nonsense that went on during that time. It really is a book that you can't help but connect to on some level. Anna Snoekstra has definitely found a fan in me and I cannot wait to see what comes next from her! Have you read this or her other books? Family man or deranged killer? It’s for fearless PI Jessie Cole to find out. At any cost. Ever since a car accident left reporter Ben Morrison with amnesia, he’s been trying to rebuild a future as he puts together the pieces of his past. With the help of PI Jessie Cole, he’s getting closer. But few who remember Ben’s troubled childhood want to talk. And those who do—including his father, imprisoned for a shocking crime—are stirring disturbing memories given up for dead. Then Jessie is sidetracked by a surveillance request from a suspicious husband. An ordinary case, until the cheating wife and lover are found murdered. They bear the trademark wounds of an elusive serial killer who’s now leading Jessie down a chilling path—one that’s about to put a dangerous twist in the search for Ben’s identity. To discover the truth, Jessie must put more at risk than she ever feared. Because there are more secrets to Ben’s past, than she—or even Ben—ever imagined. My thoughts: This is the third book in T.R. 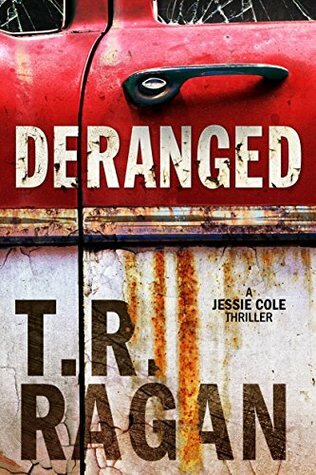 Ragan's Jessie Cole series and I am really enjoying this series. I was not familiar with T.R. Ragan prior to picking up the first book in this series, but I am slowly becoming a big fan of her work. I know she has other series and I just might have to give them a try, too. While this latest book definitely can be read as a stand-alone, I highly recommend reading this series in order. This installment in particular really builds on information that T.R. Ragan has set up in the two previous books. And if you are planning on reading the other books, there are some bits of information in this book that might be considered "spoilers" for the earlier two books. The character development in this book is top notch. I really feel that it has been building all along in this series, but a lot comes out in this particular installment. Jessie continues to work with Ben on trying to figure out just who he is. A lot about Ben's past is revealed in this book, but we still don't find out everything. It will be interesting to see where things go next. And I love that Zee, Jessie's assistant is still around. She provides some much needed humor at just the right time. She was helping Jessie with the surveillance case and gives some interesting insight. I think she is such a good balance for Jessie. Because Jessie was so caught up with helping Ben, her focus isn't so much on murder investigations as it has been in the past two books. However, there are still murders going on, and this is where Jessie's boyfriend, Colin, a homicide detective, takes center stage. I feel like we see a lot more of him in this book and I liked that. He is saddled with a new partner and at first isn't too sure about him, as he has some interesting quirks to him, but they end up proving to be quite useful. I am so looking forward to the next book in this series...where we finally get all the answers about Ben. From what I can tell, it is to be the finale of this series...which makes me a bit bummed out. I definitely want to know all those answers, but I don't want to see the end of this series. 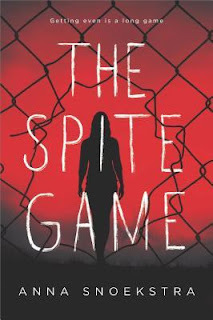 Audio thoughts: I was very excited to see that Kate Rudd was once again the narrator for this book. As you know, I am a big fan of having the same narrator narrate a series whenever possible and Kate Rudd has been doing a great job - she has been consistent with the voices and personalities of the characters. Her pacing and tone are spot on and she infuses just the right amount of tension and suspense into her voice as needed. I hope she will be the narrator for the final book! My thoughts: I was so excited to have picked this book up at BookExpo this past Spring. The Anne of Green Gables series has long been my favorite book series - I still own my original set from my childhood and have purchased a second set that was recently released a few years back because of the beautiful artwork on the covers. This is a series that I cannot get enough of, so of course I could not pass the opportunity to read this book of Marilla Cuthbert before Anne Shirley comes to Green Gables. This book just made my heart happy. It is told from Marilla's point of view and I felt that Sarah McCoy really told this book in L.M. Montgomery's spirit - she really did her homework. I loved getting to see just how Marilla and Matthew Cuthbert were in their younger years, as well as some of the other much beloved characters of Avonlea - Rachel (Lind) and John Blythe (Gilbert Blythe's father). This book really showcases just how strong and remarkable a woman Marilla truly is. She definitely did not have an easy life. It was marked with tragedy at a young age, but she remained strong, not only for her family, but for herself. Her love for her family comes first, as she proves over and over again. I think what really shines here is that we come to appreciate why Marilla and Matthew are the way they are. We learn why Matthew is the silent and shy person he is in the LM Montgomery books. Sarah McCoy has created a backstory that builds over time and makes sense as to why Matthew is still living at the farm and still a bachelor. Same with Marilla. She has gone through some transformations, she has loved, yet she is also not married. Sarah McCoy has given us the reasons for this. 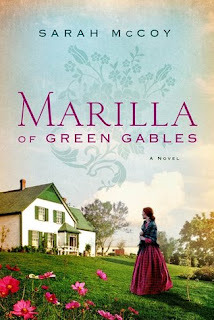 She has given us the reasons why Marilla feels she needs to stay at Green Gables. I loved this book. It was a book that I wanted not to end, but also a book that has me yearning to reread my Anne of Green Gables series now. I also love that in the Author's Note at the end of the book, Sarah McCoy shares what sparked this book...a mystery within chapter 37 of Anne of Green Gables. You'll have to pick up the book to find out what it is. But, rest assured this book is the perfect answer to that mystery and I adored spending time in Avonlea and at Green Gables again. This book is certainly going to be added to my collection of Anne of Green Gables books and will be most cherished! Earlier this week, Catriona McPherson's latest book, Go to My Grave, was released. Catriona is a new author to me, but she is definitely not one to be missed. I am thrilled to be able to offer one reader a copy of this book - a finished copy...But - the giveaway is over on my Instagram page. 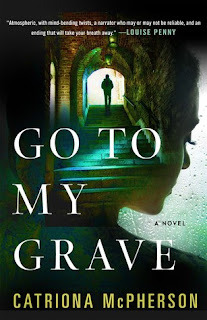 You can find my review of Go to My Grave here. Read on to see what others have to say and then you can find out where to enter the giveaway below!!! Donna Weaver has put everything into The Breakers, a Bed and Breakfast that she and her mother are opening on a remote stretch of beach. Now it waits - freshly painted, richly furnished, filled with flowers. But as the guests arrive, they feel like they've been here before. Amid home-baked scones, gorgeous guest rooms, and lavish dinners fit for a king, the feeling of menace grows. 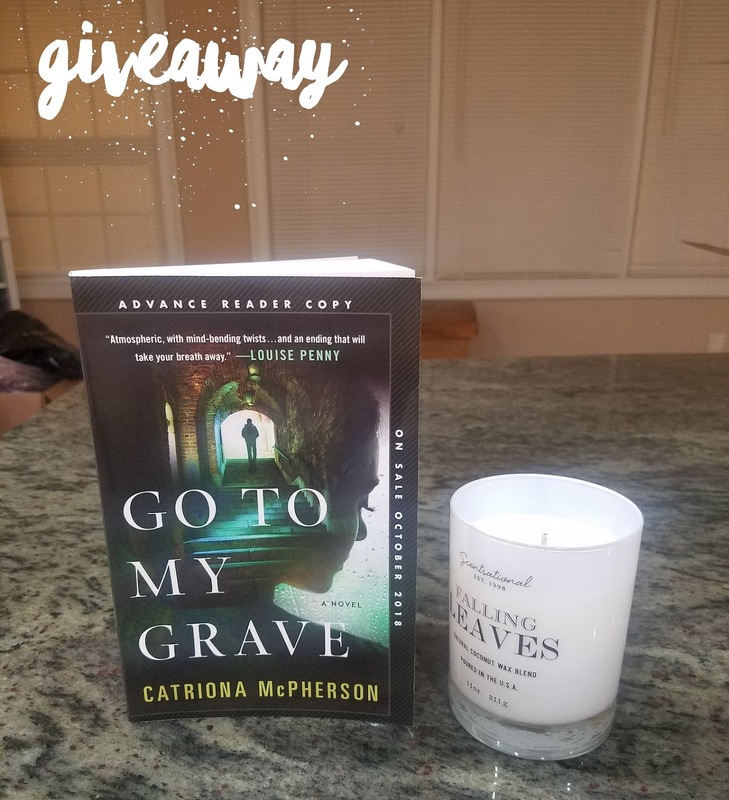 Thanks to the publisher, one reader will win a finished copy of Go to My Grave by Catriona McPherson. To enter the giveaway, please head over to my Instagram page to this post. The giveaway ends Tuesday, October 30th and is not affliated with or sponsored by Instagram. My thoughts: Caroline Mitchell has become a favorite crime fiction author after I became a fan of her Detective Ruby Preston series as well as some of her stand-alone books. So of course I was thrilled to see that she had a brand new series coming out and just had to give it a try - and what a great start it is off to!!! Right from the start, I was drawn into this story and really, I never felt my attention wane. This book kept me engaged throughout and at times, my pulse was racing as the twists and turns were thrown at me. 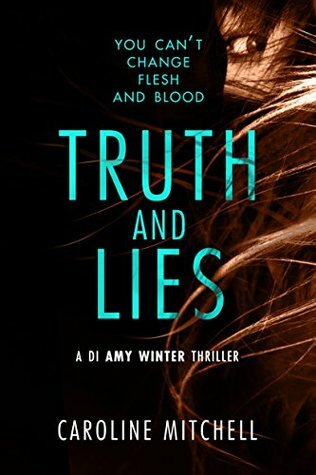 It is such a layered story, and the mind games that go on between DI Amy Winters and Lillian Grimes really ups the ante here. There really is a sick game of cat and mouse going on at times. It is a chilling tale and one that might be a bit dark for some readers - it is creepy at times - but I found it utterly fascinating. This book is filled with a great cast of characters that are well-drawn and complex. They all come to life and you can really sympathize with them. You can't help but loving some of the characters while hating others, but even though you despise them, you still end up feeling something for them - and that is no easy feat to carry off for an author. I loved that the surprises in this book just kept coming...even when you think there won't be any more, there's still another...and that next book cannot come out soon enough! My thoughts: This is the first book I've read by Catriona McPherson and it definitely won't be the last! I was intrigued about this book as soon as I read the description and begged the publisher for a copy and am so grateful they sent one my way...it was definitely the perfect read for October - a Gothic thriller that had me guessing all the way through! This book is so cleverly crafted it took my breath away. I loved the way it is set up and loved just how dark and atmospheric it is. It truly is the perfect book to pick up leading up to Halloween if you are so inclined...it is layered in secrets and ghosts from the past, and the isolated house and the locked room concept just add to the overall eerie sense of foreboding. I loved the flashbacks and how they were sporadically given to us throughout the book. When they came, they provided much needed clarity and crucial pieces of information to tie into what was going on in the present. And let me just say, as much as I was trying to figure it all out, I definitely did not see that ending coming - it completely took me by surprise which is such a great thing! I also loved that I questioned all the characters, including the narrator. They are all drawn in such a way as to create suspicion about them. And some of these characters are the types that you just love to hate, so that just leads to being a bit unsure about them almost by default. This book was a twisty, dark read and one that definitely keeps you on your toes. I cannot wait to read more from this author, if this book is anything to go by! 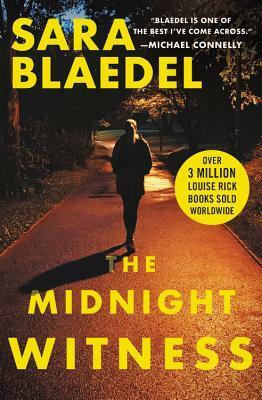 Sara Blaedel returns with another thrilling novel in her series featuring homicide detective Louise Rick--a strong-willed police investigator perfect for readers of Lisa Gardner, Tami Hoag, Tess Gerritsen, or Jo Nesbo. 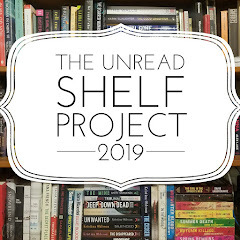 My thoughts: This book was another of my most anticipated reads for the fall and one of the books I was ecstatic to pick up at Book Expo this past Spring. I even got to see the lovely Sara Blaedel herself, and it is like seeing an old friend when I see her now - I've seen her so often in the past few years that we recognize each other and she even signed my book "To my friend." I love that!!! 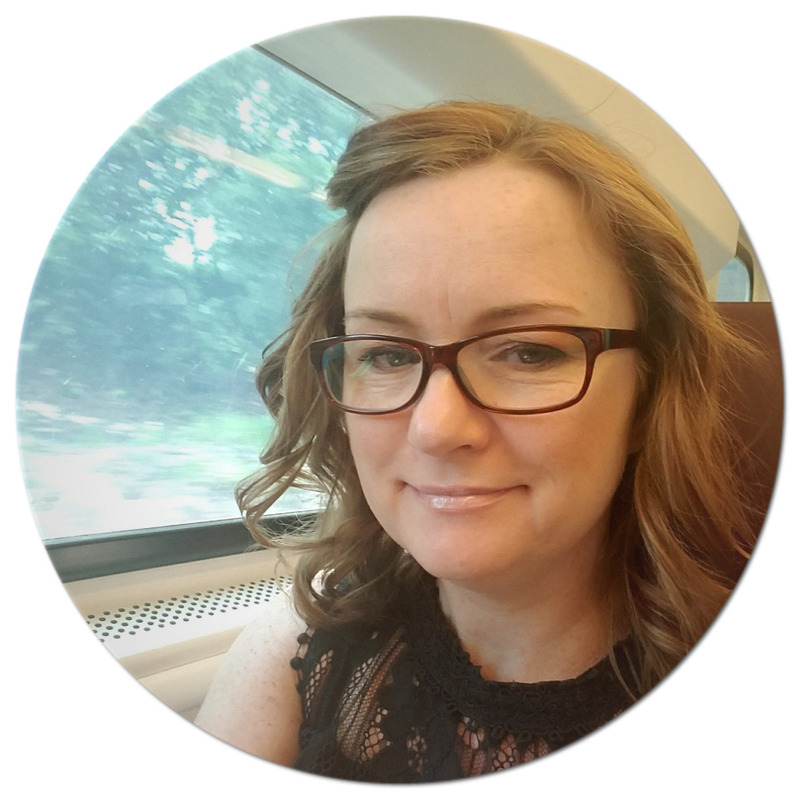 I am so excited that Grand Central Publishing has FINALLY decided to start at the beginning with Sara's Louise Rick series. I have loved this series since reading book 7 - The Forgotten Girls, which is the first one they decided to start translating here in the states and have been a fan ever since. I don't know why they decided to translate in the order they did - books 7-9, then 4-6 and now 1-3, but that is how I have been reading them and I'm just excited to be at the beginning where we see Louise Rick and Camilla Lind starting out their journeys. And I have a feeling I just might reread the series straight through once I finish book 3 just to see how it progresses linearly, and in the order Sara actually wrote them in. This is the book that launched Sara Blaedel's Louise Rick series. It has all the trademarks we have come to love from Sara Blaedel - dark and twisted, with really good characterizations and spot-on police investigations - though I feel it is more of a slow-burning story than some of her other books - not that there is anything wrong with that. It just isn't as fast-moving and I liked that in this case. I felt that I really got to see Louise and Camilla for who they are. In this case, we see them at a point where their careers cross paths. Louise, a detective, is tasked with solving the murder of a young woman and Camilla, a journalist, has asked her to look into the murder of a colleague. What I love is that we see just how strong each of these women's personalities are throughout this book, and just how important their friendship is to each other. While they may not always agree with each other, their friendship comes off as real and relatable. Louise is pragmatic about doing what she can for her friend, but always within the letter of the law. Camilla, on the other hand, is driven and willing to do whatever she can for a story, often putting herself at risk. I love seeing this contradiction at times, and yet, I also love seeing that even when the friends are at odds, they still worry about each other, as we saw a few times during this story. This book kept me on my toes as Louise and her team worked to solve the two murders. And even with Camilla working on the case of the journalist, I found myself desperate to work it out before anyone else came to harm. I am excited to see where the next two books take us. And of course, I am desperate to go visit Copenhagen - I feel as if I have an up if I ever get there with all the vivid writing Sara gives us! It is definitely on my list of places to visit one day, for sure!!! *** You'll notice book 2 has three titles and book 3 has two titles - I actually have all these books, all in English, all from different publishers, released at different times! This is how much I love this author and this series, that I have these different editions!! !